Portal del Sur is a great Hostel located right in the city centre of Buenos Aires which means: it's really easy to get around! 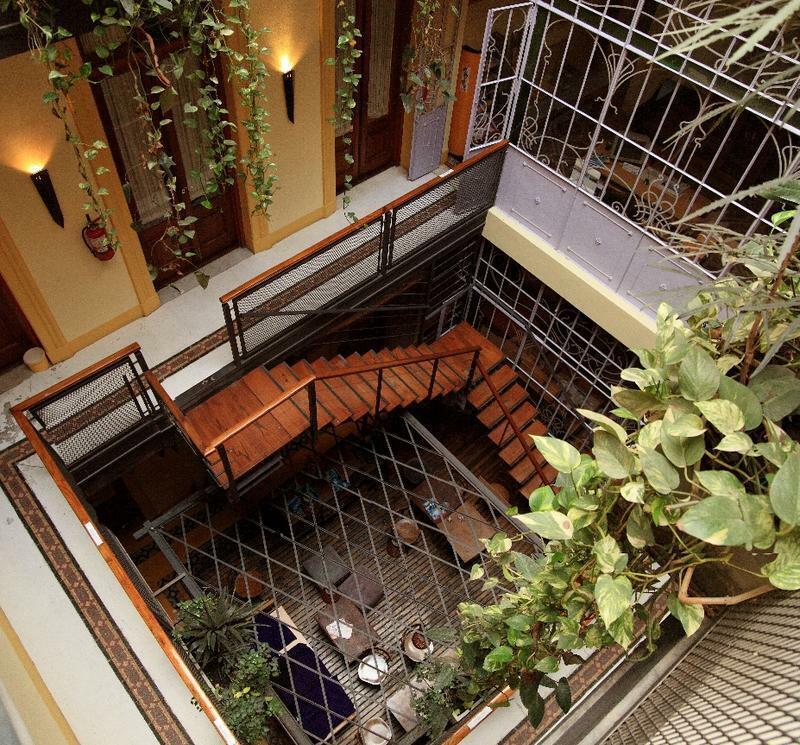 Portal del Sur Hostel is set in a XIX century building which has been carefully refurbished and decorated to keep the historical charm of its architecture. The 4 stories high building has a rooftop terrace with an incredible view of the city. 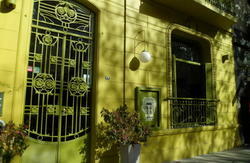 Our hostel is recognized as one of the most chosen hostels by travelers of all ages and nationalities. Portal del Sur is also recommended by international guides and magazines as Lonely Planet, Le Routard, Petit Fute, Trip Advisor, Foot Print, Traveler's Guru, Time Out amongst others. Travel agency to help you upgrade your experience. Security staff taking care of you. Comfy beds and great showers. And the most important of all, knowledgeable and passionate staff that will go out of their way to make an unique experience out of your stay and to make Portal del Sur become your home away from home!! Private rooms (single/double/Triple/Quadruples) include: private bathroom, air conditioning, maid service, telephone, linen and towels, internet access and cable TV. Shared rooms with or without private bathroom accommodate 4 to 6 people and include: heat, air conditioning or fan, maid service, linen, telephone and individual lockers. Free Walking Tour guided by professionals. Buffet Continental Breakfast, Wi-Fi (all over the hostel), Computers available, Maid service, Safe-boxes, Luggage storage, Tourist assistance, 24 hs. Reception. Cable TV, DVD player, couches, Tables where you could enjoy your meal as well as read, watch TV, plug your notebook and chat with friends, or just to meet other fellow travelers! Fully equipped Kitchen with microwave and fridge where you can cook your favorite food. Rooftop Terrace with Barbecue Grill. Give the typical Argentine barbecue a try while surrounded by an incredible view of Buenos Aires! Rooftop Bar. Pretty much as good as it gets: Great staff + tasty food + many options when it comes to drinks + metegol + activities + prizes + promotions + good music + new people to meet. Computer Room with Broadband Internet. We'll help you get the most out of the city, day and night. Sports, city tours, discos, tango, bike rental, car rental and many more of what this city has in store for you! Then, get to know the whole country. South to North. We can help you plan, organize and book tickets, accommodation, excursions, and more at real budget-prices. Come and join us!! Let's find out together what the next step is!